Safety improvements are coming to a dangerous intersection in Charlotte County. In the month of February so far, three people have died in crashes near the intersection of State Road 31 and Bermont Road. One woman survived a crash near the intersection; although, she was seriously injured. Terry Foster and her 12-year-old daughter narrowly escaped a crash on SR 31 and Fox Hill Road, and they said the danger near this intersection is well known. The crash has caused new worry in Lloyd and Terry’s daughter. “My daughter now every time we drive, she’s like, ‘Dad watch out; watch this; watch that,’” Lloyd said. Foster and her daughter’s crash was a head-on collision with another vehicle. Two people in the other car involved did not survive the crash. Five people were hurt on Saturday in crashes near this intersection. Lloyd and Terry believe improvements are needed. 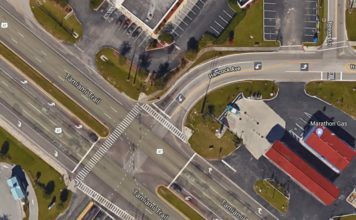 Last week, Florida Department of Transportation said its beginning a project to install a signal at the Bermont and SR 31 intersection. 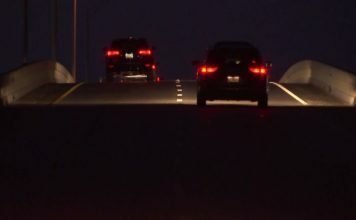 FDOT said the confirmed updates should be complete late spring. “They should at least put a light because there’s nothing,” Foster said. The ultimate plan for it will be the construction of a roundabout. “Any improvements on that road is just gonna help,” Lloyd said. The Fosters hope for additional roadway improvements for added safety including a widened road for safer passing. Foster is taking big steps toward recovery. She is home from the hospital. “The accident’s totally changed our lives,” Lloyd said. While Foster and her daughter where at the scene of the crash, a good Samaritan came to their aid and waited for responding authorities to bring them to safety. Foster hopes to identify them and thank them for their support during their crisis.